Create templates for common tasks, so you can spend time on the fun stuff. Rapidly create common tasks and stop wasting time. 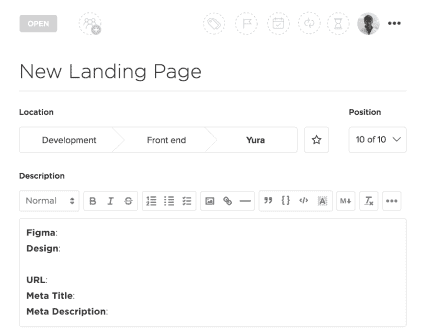 Use templates for bug reports, blog posts, landing pages, contacts and more! Select only the things you want to save, not what you’re forced to. ClickUp does the busy work. Remap due dates to see your entire template shifted automatically. Creating a Template is easy. No training or technical experience required! Have pre-definied fields, tags and locations with task templates for consistency. Use templates for content pages just like the one you’re reading! Save time with consistent processes. When a new feature is made, that’s big news. 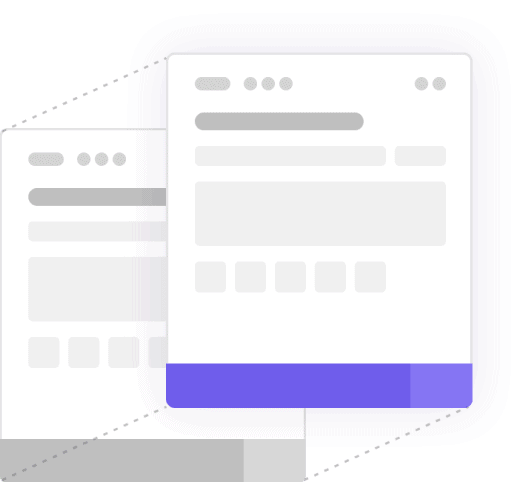 Use a task template to ensure all of your users hear about it, every time! If you like using templates, check out these other features! Express more with rich detail. Quickly and easily embed quotes, code snippets, images, and more in any description or comment! 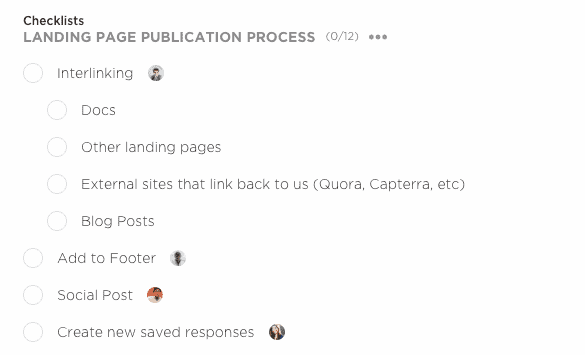 Easily add your process to a checklist and never worry about a missed step again! Assign checklist items to team-members, so everyone knows who has done what. 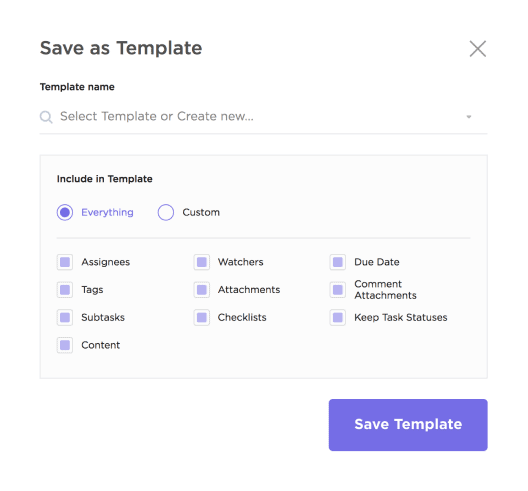 Adding tags couldn’t be easier, and with the powerful filtering ClickUp brings to the table, you can rest assured that you’ll never lose a task again. These bring everything to the table. That means all tasks, statuses, ClickApps, and organziation. 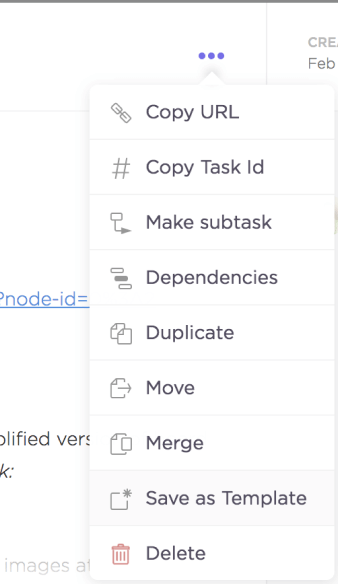 Quickly create entire Projects full of Lists and tasks all from a single click! 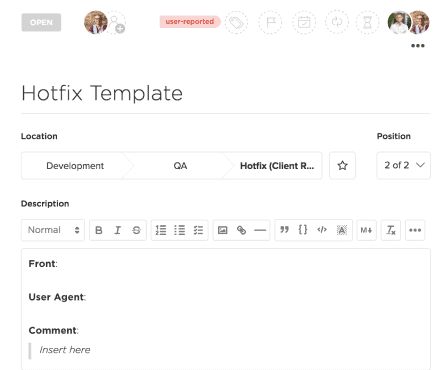 Manage your processes with templates! Quickly create and re-use these to start knocking out tasks even more efficiently. Save and reuse custom statuses in Projects and Spaces throughout your entire team! Quickly create Projects with the same workflow, and easily update your statuses with Custom Status Templates!